Bustling and crackling with organic buzz and with a heartbeat thudding like the constancy of living and breathing against the melancholic backdrop of the ever-shifting seasons, the rising strings all emotive and tear-jerking, a never-ever feel to it, a will-I-ever feel to it (a la Jon Hopkins) this is Tokyo-based Lycoriscoris aka real life human Yunosuke Senoo. The motion of it suits the name 'Flight', but other than the clear image of something literally flying, what else do we have here? Well, with its trickling percussion like icicles melting, and the frosty frosty touches of piano sparkling like sun on snow summons a stark landscape, wintry, but with the hope of spring and summer on the horizon, the rising nature of those strings are like the possibility of new life; a mix of depression and hope, it charts the cusp of the year where life teeters between holed-up against the snow and taking tentative steps below freshly unfurling leaves. 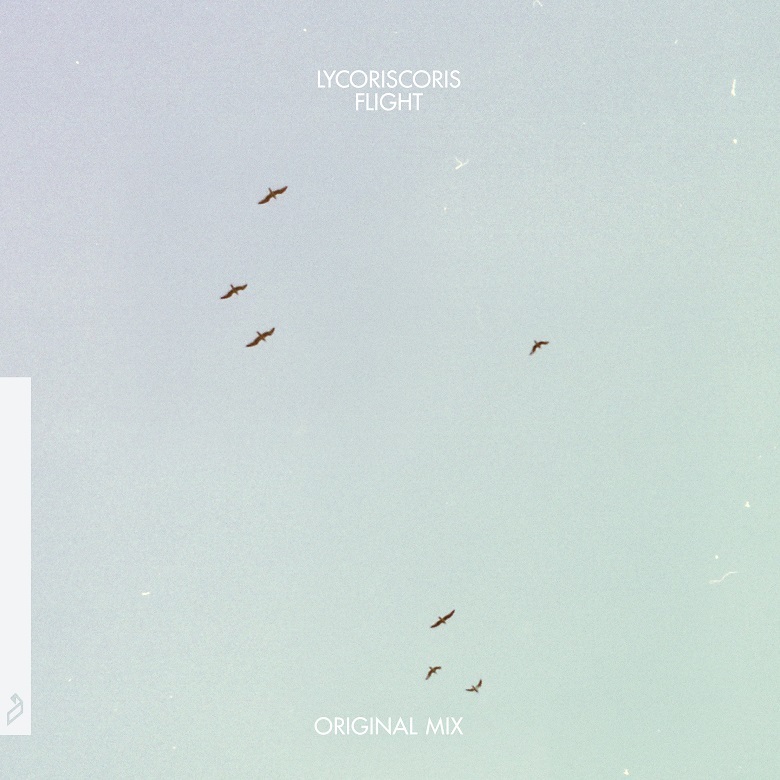 🔔 This is the title track taken from Flight, Lycoriscoris' debut album released at the end of May this year via Anjunadeep. You can download or stream it via your favourite service.